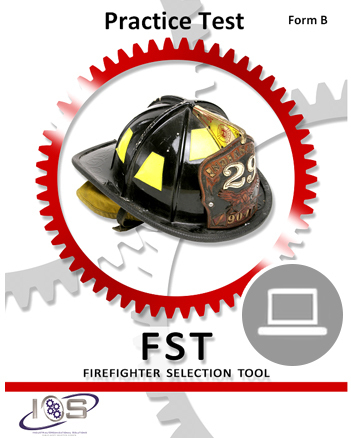 The FST Elite Study Package contains the FST Study Guide – Online and two FST Practice Tests at a discounted price. Maximize your study efforts by utilizing all of these preparation tools and save money by purchasing them together. The FST Study Guide contains critical information about the FST that will allow you to prepare for the test-taking experience, hone your cognitive skills, minimize test-related anxiety and ultimately perform at your peak level. The FST Practice Test (Form A) contains 40 questions that are designed to provide insight as to how you will perform on the cognitive (i.e. reading, writing, math, etc.) portion of the FST. Purchasing this product will give you immediate access to an interactive test that must be taken online via the IOS Recruitment website. The FST Practice Test (Form B) contains 40 questions that are designed to provide insight as to how you will perform on the cognitive (i.e. reading, writing, math, etc.) portion of the FST. Purchasing this product will give you immediate access to an interactive test that must be taken online via the IOS Recruitment website. 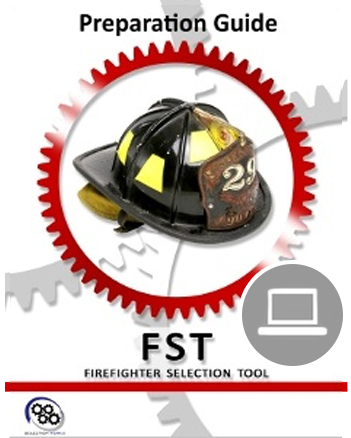 The FST Elite Study Package contains the FST Study Guide – Online, FST Interactive Online Practice Test – Form A, and FST Interactive Online Practice Test – Form B at a discounted price. Maximize your study efforts by utilizing all of these preparation tools and save money by purchasing them together. The FST Study Guide contains critical information about the FST that will allow you to prepare for the test-taking experience, hone your cognitive skills, minimize test-related anxiety and ultimately perform at your peak level. Purchasing this product will give you immediate access to a PDF/eBook version of the material. 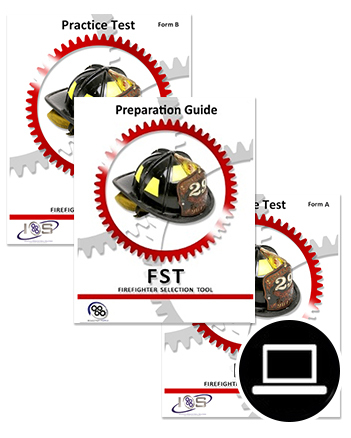 The FST Practice Tests (Form A and Form B) each contain 40 unique questions that are designed to provide insight as to how you will perform on the cognitive (i.e. reading, writing, math, etc.) portion of the FST. This study package contains two interactive online practice tests. Purchasing this product will give you immediate access to two interactive tests that must be taken online via the IOS Recruitment website.